Schizophrenia is a chronic disease. People who suffer from schizophrenia have a brain disorder that impairs and distorts how they think, behave, perceive their surroundings and their relationships with other people. Schizophrenia is among the most damaging mental illnesses that one can develop. People with this disease have trouble adjusting and functioning in the world. Relationships can be very difficult to maneuver and maintain. Social situations, as well as educational and employment settings, can prove to be very hard to acclimate to if a person suffers from this disorder. Schizophrenia varies in intensity and severity for individuals who are diagnosed. One person could experience one psychotic episode in total and a different person could have several episodes throughout their lifetime. You may be wondering what causes schizophrenia? We want you to know that if you or someone you love is suffering from this disorder, it is nobody’s fault. Schizophrenia is not a reflection of a person’s characteristics or personality traits. This mental illness could affect anybody. It does not discriminate. People from all sorts of backgrounds, upbringings, and cultures are affected by schizophrenia. 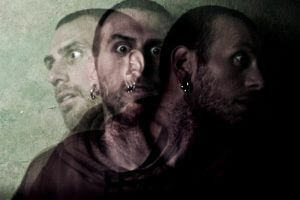 It is estimated that over 2 million Americans have schizophrenia. If you think you or a loved one is suffering from this disorder, we urge to visit our facility for hope, help, and treatment. Our highly trained doctors and experienced mental health professionals will help you learn how to cope with this disease and live a happy, useful, and productive life. There is no cure for schizophrenia, however there is schizophrenia treatment available which alleviates the symptoms and decrease the chances of returning symptoms. We also offer many more types of therapies that are useful in treating schizophrenia. Living with untreated schizophrenia can be very dangerous and debilitating at worst, and frustrating at best. The number one cause of preventable death for people suffering from this disease is suicide. If you or someone you love is displaying the signs of symptoms of schizophrenia, please call us today! We will provide you with an assessment and treatment plan to help you. The benefits of receiving treatment for schizophrenia are amazing. Many schizophrenics can attest that with the right combination of therapy and medicine they have a wonderful life in spite of the medical challenges they face. Our help and support could be just the things you or your loved one needs to begin the path of recovery. We hope that you have a better understanding of what to look for regarding schizophrenia. We want you to know above all else, there is hope for those with this disorder to live a fulfilling and peaceful life. Please do not delay for one moment longer in seeking advice and treatment for schizophrenia; we do not believe that anyone deserves to face this illness alone. There is support available for all those who suffer from any type of mental illness. His House staff specializes in treating mental health and employing proven tactics to make recovery possible.